4,000 sqft showroom. The area's largest selection of glass tile, custom ceramics, stone and metals. Porcelain and Ceramic floor tiles in a variety of sizes. Showroom Designer available to help with layout and design. Triangle Tile & Stone of NC, LLC was created on the premise of providing absolute quality ceramic, porcelain, marble, travertine and granite products to the consumer with an unparalleled level of service. Our staff has extensive knowledge that allows you to get the exact look you're needing. We welcome you to exploreour showroom where you will find some of the most unique tiles available everything from handmade tiles to natural stone products. We feature a variety of glass, metal and glazed tile along with slates, marbles, travertine and limestone. Triangle Tile & Stone of NC has grown to be one of the triangle areas largest stocking distributors buying directly from domestic and international tile manufactures. 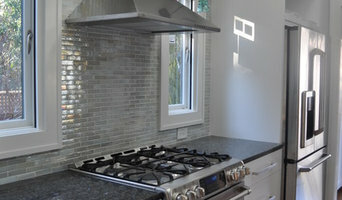 The selection process can be stressful whether building an entire home or selecting a backsplash. Our staff is very knowledgeable in the tile and stone industry to assist with any project. We offer individual design appointments with our interior designers. We are here to listen to your needs, paying close attention to each detail in order to help you create a functional yet visually pleasing space. Byrd Tile Distributors is a full line tile distributor that has been serving builders, remodelers, design firms and their clients for more than 35 years. We have thousands of styles to choose from...over 80 brands! Products that we offer: Ceramic, Porcelain, Natural Stone, Veneer Stone, Metal & Glass tiles, Glass Block, Decorative Tiles, Stone Sinks, Bath Accessories, Floor Heat Systems, Setting Materials & Supplies. Direct Importer From Italy, Spain, Argentina, Brazil & Turkey. Green Recycled Content Tiles are in stock as well. Please stop by our newly remodeled showroom and see us! Design consultation is by appointment. We have a large in-stock inventory and convenient delivery service. CRS is committed to making your stone selection process easy and enjoyable. Our focus is to sell the finest granite, quartz and marble available, and it shows in our ever changing inventory of more than 150 exotic and classic stones from around the world. We encourage any homeowner, designer, builder or fabricator to walk through our extensive (all indoors) warehouse to view our inventory. No appointment necessary. Our friendly and helpful staff is waiting for you to come in and make your stone selections to complete your dream project! K&B Solutions is a refinishing company that specializes in refinishing and repair of tubs, tile, countertops, and cabinets. We have 14 years of experience working with the apartment, multifamily, and residential housing industry and strive to maintain consistency to give our customers the best product for the money invested. We hope you'll allow us to be your vendor of choice when it comes to refinishing and repair. 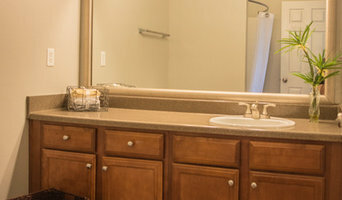 We use high-quality, long-lasting products that are time-tested and we provide cost-effective solutions for updating bathtubs, tile & countertops all with the personal touch of an owner-operated business. At StoneTop Granite & Tile we fabricate and install 3cm granite, quartz, and marble counter tops using only the best quality products. When you choose StoneTop Granite & Tile, we will utilize our 12+ years of service knowledge and expertise to help you create the kitchen of your dreams. Absolute Stone has been providing countertop and tile design to the triangle since 1999. Our experience with all facets of kitchen and bath design has allowed us to give our customers the best experience possible. Raleigh, We Have the Countertops that Kitchens & Baths Dream About! At Mogastone, we fabricate and install custom granite, marble, quartz, quarzite, and soap stone countertops for kitchen and baths, fireplaces and built ins, desk tops and conference tables. A detail- oriented, family-owned Triangle company, specializing in natural stone, quartz and other hard surface design and installations for the home. We also offer our clients a variety of kitchen cabinet choices and remodeling services that compliment our custom countertops. Cosmos Granite & Marble is a distributor of natural stone and quartz as well as other industry related products for a wide range of applications including commercial and home interiors. Cosmos, as the name suggests brings to you the most exquisite stone from around the world. Cosmos is a major importer and wholesale supplier of premium quality natural stone for commercial and residential building projects. Our focus is on import and distribution of Marble and Granite slabs and tiles. We at Cosmos, have an extensive experience in this industry. This allows us to serve our customers with premium quality of stone available in the industry along with the most exclusive varieties accessible around the globe. We provide Granite, Marble and Onyx stone in a variety of colors and sizes in slabs. Visit any of our 12 showrooms across the US. 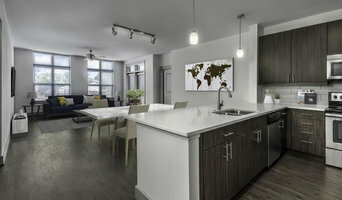 Servicing the Triangle area for over 12 years, NC Countertops LLC specializes in the fabrication and installation of natural stone - Granite, Quartz, and Marble - and engineered countertops to Residential Single-Family Homes, New Construction, Muti-Family Apartments, and commercial Construction. NC Countertops can service all your needs ranging from kitchens, bathrooms, home bars and more. We offer our clients a selection of the highest quality of products, competitive pricing, and a knowledgeable team of professionals to assist you through any project, small or large. We welcome the opportunity to service you! Professional stone countertop fabrication and installation. Modern Tile and Stone of North Carolina is an experienced full-service tile installation, kitchen and bathroom renovation expert contractor. We are a small family owned local business providing affordable tile setters and personal attention for your home. Doing the best tile renovations and remodels since 1996. Showcase Design Kitchen & Bath Renovations owners Frank & Jill Englert have a combined 35 years of experience as natural stone fabricators and suppliers. They have brought their extensive knowledge to the remodeling niche with their new location in Apex, NC. The husband-and-wife team prides itself on retaining so many former customers, both in Florida where they previously owned the same business and in their current Apex location. Clients often evolve into friends that they speak with on a regular basis; in part because the Englert’s goal not only is to provide a top-notch product, but also to go the extra mile to ensure their clients understand their purchase thoroughly. 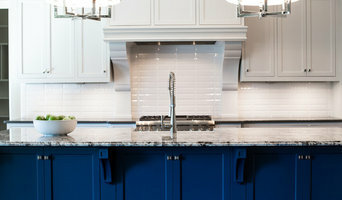 What does a tile, stone, and countertop professional in Raleigh, NC do? Any professional involved with countertops, stone or tile work during the construction or renovation is a tiling professional. Most Raleigh, NC tile experts have a comprehensive understanding of which surfaces will work best in various locations within the home. Tilers and Raleigh, NC tile manufacturers will have a great range of tile designs, sizes and materials to choose from and will help you to pick the best tile based on your tastes and requirements. Also, ensure you hire a tiler to lay the tiles out neatly and evenly. Don’t forget Raleigh, NC tile professionals can also install murals and mosaics, as well as add decorative edge treatments around the house. Why should I hire a professional a tiler or installer in Raleigh, NC? Perfectly laid tiles and countertops can look simple and seamless once finished, but installing them is far harder than it looks. It really pays off to consult a Raleigh, NC tile shop or hire a professional tiler in Raleigh, NC as they will have the experience and expertise to finish the job efficiently, quickly and to a high quality. Tilers or the tile showroom will also repair or replace surfaces in the event of chips, cracks, stains or other damage. Many tile, stone, and countertop professionals in Raleigh, NC also install shower pans, flooring systems and other common components of surfacing jobs. Narrow your search in the Find Pros section of the website to tile, stone and countertops in Raleigh, NC. You can also look through photos to find tile, stone and countertop projects you like, then contact the contractor who worked on it.